Miss Lilyana: Lily the bag lady! I'm a girl, and just like all other girls, and women, I love bags! Lots and lots of bags! Some might even call me a bag lady! 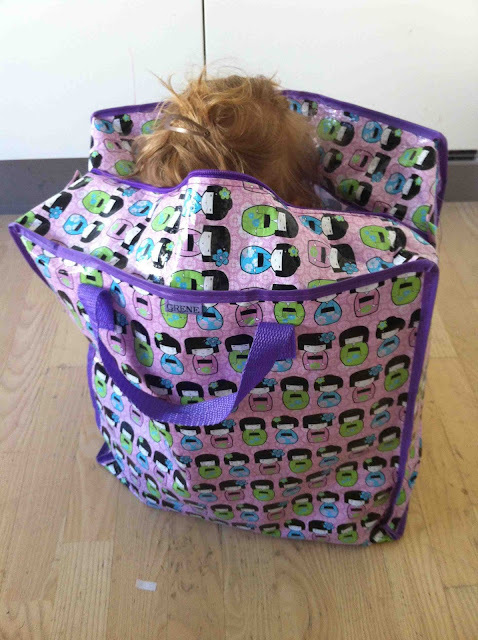 Only, I don't just use bags for my diapers and snacks - What's more fun than playing hide and seek in a bag! ?